After long, Tata Motors have finally made a bold move and launched its new car, the GenX Nano. This car was in development for more than two years and will be the company’s effort to remove the ‘cheap car’ tag for a more viable title. The car has had a makeover from head to toe in terms of styling with added variants that will fulfill the purpose of a city car. The new Nano now has a manual/automatic transmission that works like an automatic gearbox, thus not requiring human intervention for changing gears. Open-able boot and Bluetooth phone sync are some of the other features of the car. Nano will be powered by a 624cc petrol engine, generating a peak power of 37.5bhp. In comparison, the Alto is powered by a 998cc petrol engine producing a peak power of 67.1bhp. It comes with a 94-litre boot space. The Nano automatic now weighs 35 kgs more at 745kg because of Wadded components and changes while the Alto automatic gearshift weighs 755 kg. In the year 2014-15, Nano sales saw a drop of 20% as compared to last year, that is, falling from 21,129 units to 16,901 units. Ratan Tata admitted that he made a mistake when the company announced Nano as ‘the cheapest car’ and plans to re-launch the car with a new brand image. 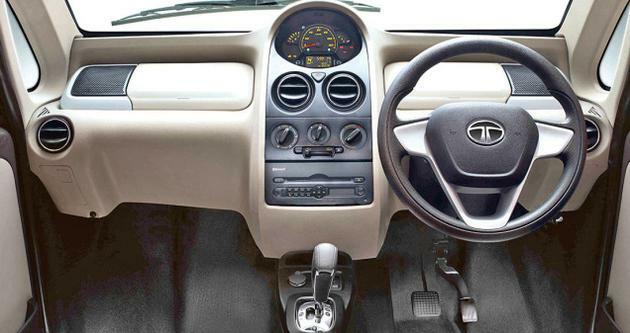 This car was originally launched in 2009 with a price of Rs 1lakh. Now, Tata Motors’ much-awaited GenX Nano Easy Shift (AMT) is ready to hit the roads on 19th May and is priced from Rs 2.04 lakhs to Rs 2.52 lakhs, depending on the variant.